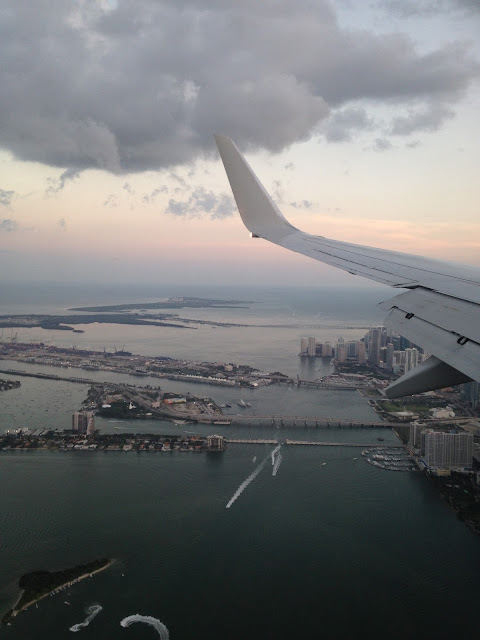 What To Expect When Visiting Miami? About two months ago I spent an incredible week in Miami, Florida with a good friend of mine who visited me from France. 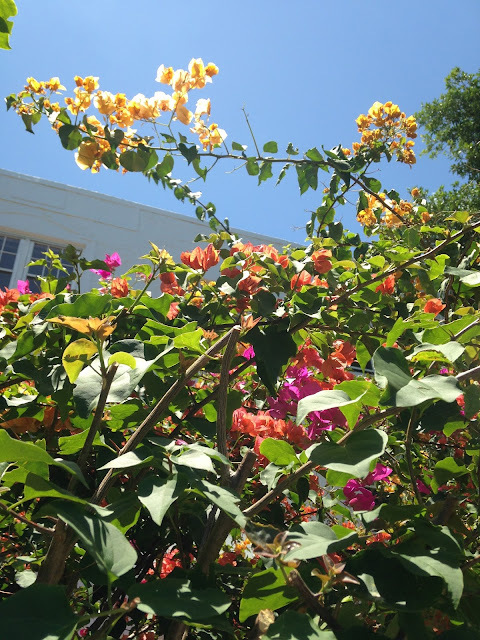 Miami is such a popular travel destination in the US, and we wanted to have our own experience of the city since everyone on the internet seems to praise it so much. We stayed in Miami Beach around Flamingo Lummus, in the South. 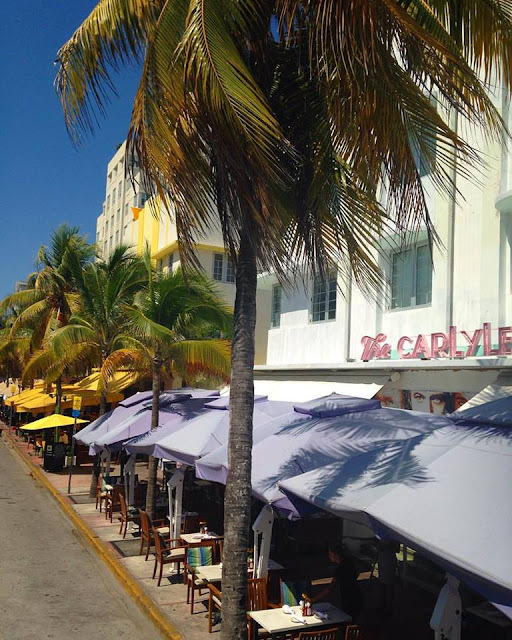 Miami Beach is quiet in the North and Centre of the island, and very loud and crowded in the South (starting from Lincoln RD until South Point, passing by Ocean drive, Collins Ave which is bordered by all the big name hotels). 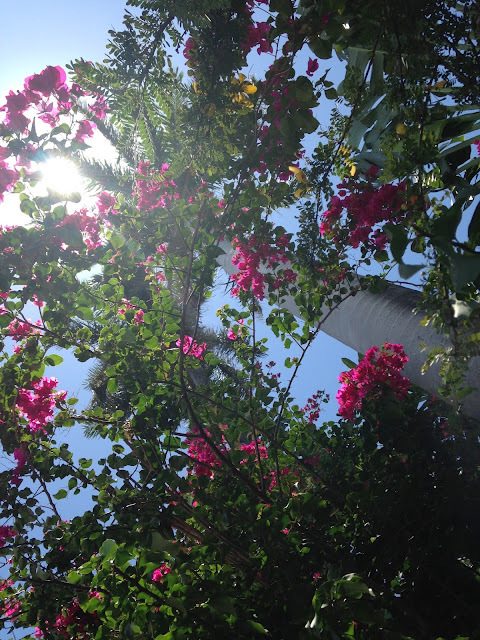 What I loved the most about Miami was the tropical vibes in the city. And I want to share with you what to expect when visiting MIAMI. Do not expect to have a spectacular beach. I wasn't impressed especially after going to Hawaii last year. 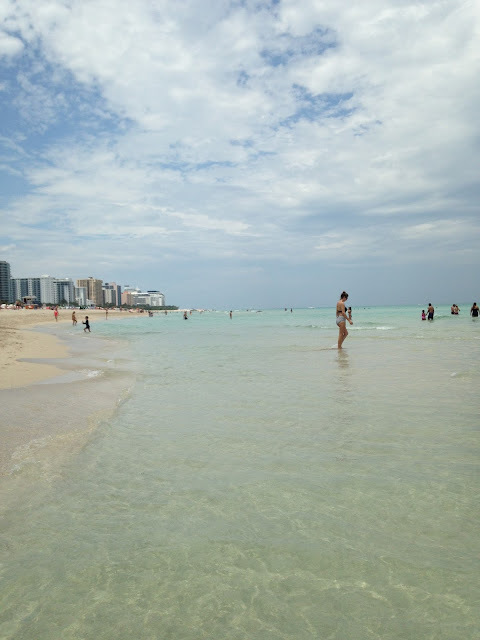 The good thing is, in Miami beach the sea is not deep at all and you can see the bottom. I enjoyed shell hunting on the shoreline. As the weather is hot and humid, I recommend wearing light clothes. Flowing dresses, skirts, T-shirts, shorts,.. as I did every day. Cotton and linen fabric are perfect. Also, since you will stroll around the island and anytime there might be showers, you better be wearing flip flops. It is very convenient. Be ready to be mesmerized by the luxurious tropical flora. I love that tropical vibes; the houses, with beautiful gardens with huge green plants. It reminds me so much of my home The Republic of the Congo. Spanish is the second main language there. Most people do not speak English fluently (we had difficulties communicating with our UBER driver). But even though you might be confronted with language barrier, people are friendly so be friendly as well. The Latino and Caribbean communities are very significant. You meet Cubans, Venezuelans, Columbians, Brazilians, Peruvians, Haitians,... Which give you a variety of food to taste. Miami Art scene is Incredible. Everywhere in the city you will have an "artsy encounter". We came across the Pop-Up shop of the Brazilian artist Romero Britto that we discovered while walking on Lincoln Rd. What a great discovery! I couldn't help buying one fine art print. I think I do not need to introduce you the famous Wynwood Walls, a neighbourhood with plenty of graffiti and street arts. Get ready for a colour explosion. The minimum cost for a meal (no drink and desert included) is $US16 to $US20 in restaurants plus there is 18% of tips (called gratuity) to be added to the bill. If you are not too picky but not into MC Donald as well, you can go for options like The Bar Next Door if you are around Wynwood, and Top Burger on Washington Ave and 8th Street. I loved their burgers and Cuban sandwiches. 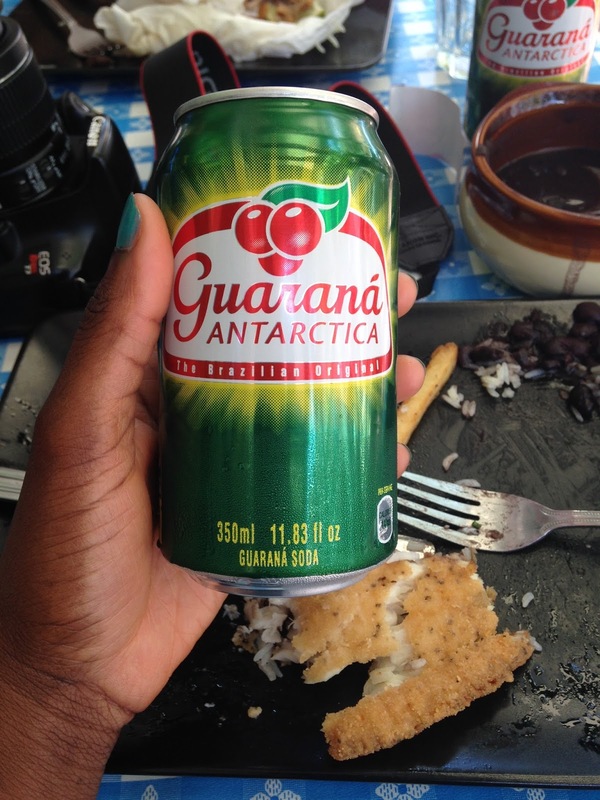 But my favourite food was the Brazilian food. 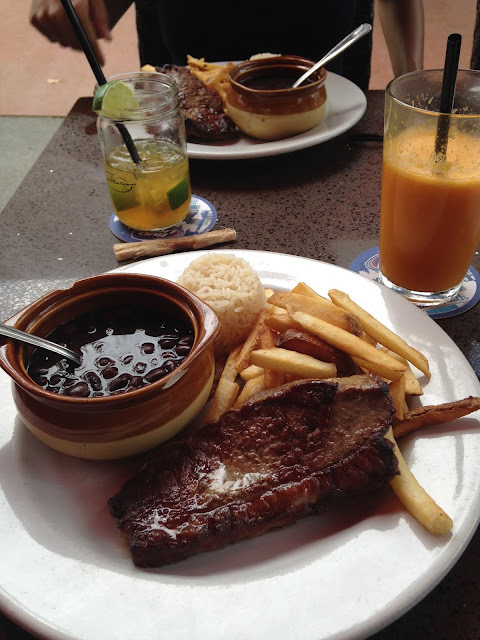 I tried a dish called Brazilienero de Picanha at Rio Station Grill on Lincoln Rd. It is Amazing! A great place to try Cuban cuisine is La Esquina de la Fama in Little Havana. It is tasty and at a very reasonable price. I hope this was helpful. I already can't wait to go on another adventure. The countdown is ON, make sure you follow along @theblossommuse to see where I go next.